Omni Cabling offers data cabling installation services in Michigan. Whether your business needs to grow an existing data network or start from scratch, Omni Cabling is here for you. Omni Cabling takes pride in offering quality materials paired with professional service at an affordable price. You may not think about it much, but your business depends on a fast, well-designed data network. In a data-driven world, slow speeds won’t cut it. Whether your business needs to grow an existing data network or start from scratch, Omni Cabling is here for you. 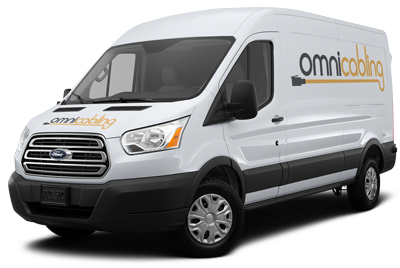 Omni Cabling is a data network installer that takes pride in offering quality materials paired with professional service at an affordable price. Omni Cabling can give you an enterprise wireless system that gives you all the convenience of WiFi without compromising your security. We can also add a guest wireless network, so that your guests can access the Internet without having access to your sensitive documents. Quality voice cabling is the difference between great customer service and static-filled confusion. Don’t let poorly implemented voice cabling leave your customers and service team frustrated. Omni Cabling is experienced and ready to install your new voice cabling or diagnose and repair an existing voice network. If you are moving to a new building or getting new furniture, we can connect your workstations to your office’s voice and data network. Add fiber to your network to get the fastest possible throughput between switches or to connect multiple buildings. We do fiber installs for new or existing networks. We work with all fiber types (62.5 μm multimode, 50 μm multimode, and single mode) and connectors (ST, SC, LC, ribbon MPO, and FC). Create a dedicated network link between buildings that are across the parking lot or up to 60 miles apart without expensive MPLS service or the exorbitant cost of running private fiber connections. Omni Cabling can install state of the art directional antennas to connect your buildings with greater than gigabit speeds.